So, she promised not to kill me. 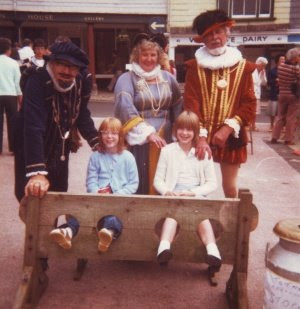 Grete (in the stocks, on the left) when she was about 7 or 8 (we think) and on holiday in Paington in Devon. I suspect they could sneak their feet out of those stocks if they really wanted to.